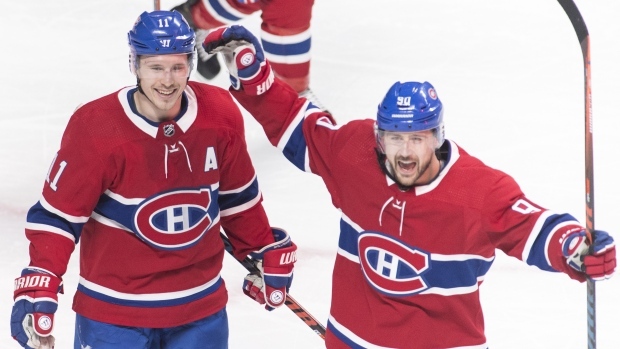 MONTREAL — The Montreal Canadiens never took their foot off the gas pedal in an 11-goal thriller as the race to the playoffs intensifies. "That's our team identity right there to be resilient and to be consistent," said Domi, who had a goal and two assists. "(Buffalo) is a really good hockey team. They have a lot of firepower up front, good defence, great goaltender. They weren't giving up and we knew that. We just found a way to keep going." Sam Reinhart got the high-scoring affair going when he went five-hole on Carey Price at 12:26 of the first period. The teams then combined for six goals in a back-and-forth second. Montreal tied it up 5:09 into the middle frame when Artturi Lehkonen took a feed from Andrew Shaw and scored while crashing into the net. The Sabres responded instantly, scoring 30 seconds later through Alexander Nylander's power-play marker to make it 3-2. A turnover by Jonathan Drouin led to Marco Scandella's equalizer on a fast break at 16:08 on Buffalo's 14th shot of the game. "It was good enough that we came back but we made mistakes that they capitalized on," said Nylander. "We have to clean that up." Making his seventh start in a row, Price made 23 saves on 27 shots while Hutton stopped 37-of-43 shots. Notes: Jason Pominville was back in the Sabres lineup after being a healthy scratch the last two games. … The Sabres failed to complete the season sweep after winning the first three games against the Canadiens this year.